The Top 10 Places to Visit on a Trip to Denver, Colorado was written by Heather Behrends of Made In A Pinch, a family lifestyle blog dedicated to helping parents bring family life from chaos to calm with practical tips and simple recipes. Heather lives just outside of Denver with her husband and three young boys. Denver, also known as the “mile high city”, sits at the foot of the Rocky Mountains in Colorado, USA. 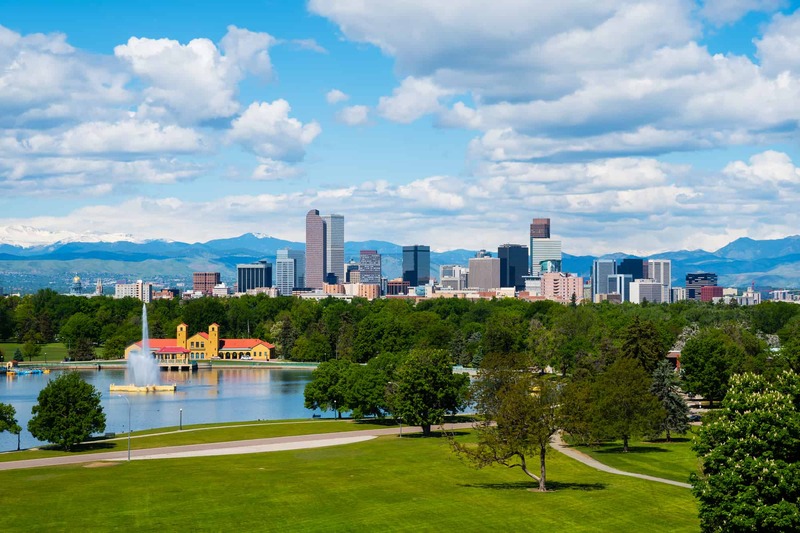 As the capital of Colorado, Denver is home to multiple great schools, is a major destination for business travel, a growing technology hub and a great starting place for trips into the Rockies. The area is known for having 300+ days of sunshine per year, a dry climate, and being a very family-friendly and walkable city. Insider tip: because Denver sits at 5,280 feet in elevation and has a very dry climate, when coming from lower altitudes, be sure to drink lots of water to stay hydrated and reduce the effects of the elevation change and dryness. Here are 10 of the top spots to hit on a family trip to Denver, Colorado. The Children’s Museum provides an exciting, interactive, and educational experience for children to explore and learn through play activities. While the museum has exhibits and activities that are fun for kids of all ages, its main focus is on STEM activities (Science, Technology, Engineering, and Mathematics) for kids 8 and younger. A few of our favorite exhibits include: Altitude (an indoor 3 ½ story climbing structure with a smaller one for younger children), Bubbles (different bubble-making devices to teach about evaporation and water vapor), Fire Station No. 1 (includes a retired fire truck and fire fighter costumes), and My Market (a fun exhibit that allows kids to go ‘grocery shopping’ at a fresh produce market to emphasize local food and the farm-to-table process). 16th Street runs through the city center and has been turned into a European-style outdoor pedestrian mall with trees, flowers, artwork, and benches. A free shuttle bus is the only traffic on the mall, which includes stores, souvenir shops, a movie theater, and many restaurant options. All along the 16th Street Mall, there are many different historical buildings that make for an interesting visit. This beautifully preserved 1880’s house that is listed on the National Register of Historic Places was once the home of Margaret Brown, an American philanthropist, activist, socialite and Titanic survivor. The house is now a museum which offers daily guided tours as well as other events throughout the year aimed at preserving history. The whole family will get a feel for how people who had a great deal of money lived in the early 1900’s. It’s a great chance to talk with kids about the differences and similarities to how people live today. The Denver Botanic Gardens feature 50 gardens spread over 24 expansive acres. This facility presents a variety of different environments from a traditional Japanese garden to the South African Plaza. The gardens also display numerous sculptures and works by Dale Chihuly and other artists. The Denver Botanic Gardens hosts a variety of festivals throughout the year, including a summer concert series and a Christmas lights festival. Enjoy sports? 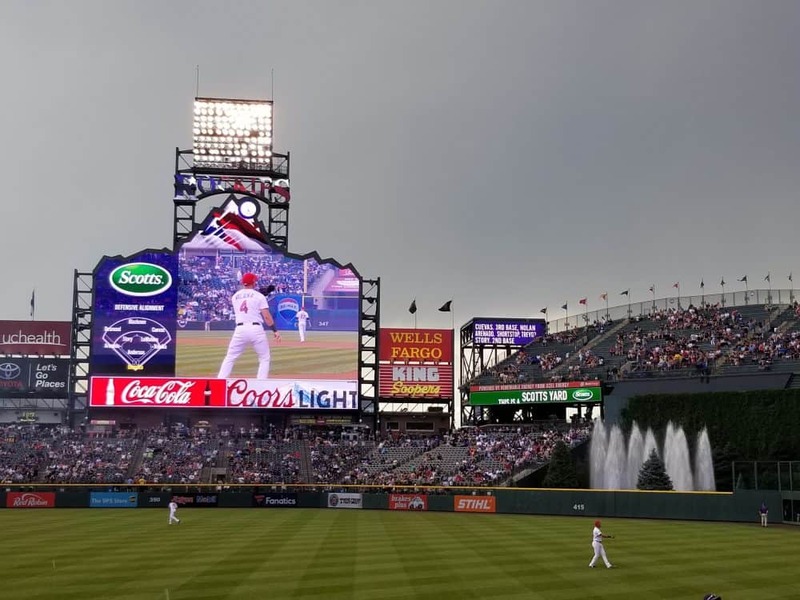 These venues offer the ability to see a professional baseball, football or basketball game as well as a huge variety of musical and other entertainment shows. The Downtown Aquarium is a large complex that features a public aquarium and a full-service restaurant. The aquarium has more than 1 million gallons of underwater exhibits which highlight ecosystems from around the world. Over 500 species of animals call the aquarium home (don’t forget the tigers! ), and the whole family will find something to love there. Be sure to check out the mermaids swimming in the water tanks in the restaurant! A building reminiscent of the United States Capitol building, the Colorado State Capitol building sits at exactly 1 mile above sea level. The building serves as a sort of museum of Colorado history, and there are free tours available Monday-Friday. Mr. Brown’s Attic exhibit area is dedicated to Colorado history, gives details of the capitol’s construction, and has a space for kids. 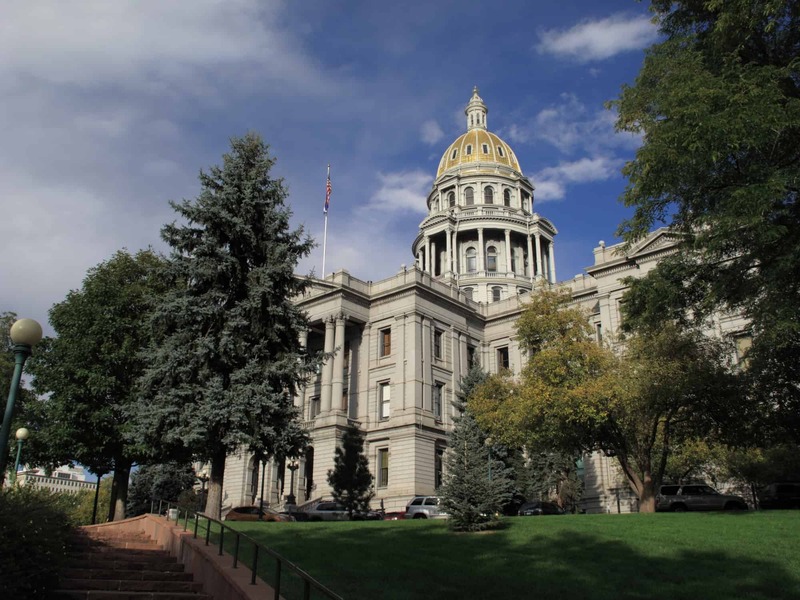 Interesting fact: the dome is covered with gold leaf to commemorate Colorado’s gold rush and remember the brave pioneers and miners who helped build Colorado. Denver tourist attraction reminiscent of United States Capitol. With the Rockies being only about 40 minutes to the west of Denver, if you have access to a car, I highly recommend you venture up to the peak of Mount Evans. You’ll get to drive on the highest mountain road in the United States and see breathtaking panoramic views of the mountains and the valley below. You can also see a variety of wildlife including mountain goats, bighorn sheep, marmots and pika. The road to Mount Evans is closed during the winter months (usually opens in late May) and can get very busy on summer weekends. Early mornings and weekdays are usually less crowded. On the way from Denver to Mount Evans, stop and check out the Colorado Railroad Museum. Surrounded by buttes, this museum is home to a variety of locomotives, cabooses, and cars. A replica of an 1880’s-style depot houses exhibits that include a working Roundhouse, model railroads, photographs and artifacts. Red Rocks Park is a big draw for outdoors enthusiasts. This 700+ acre park allows visitors to experience the incredible transition from the Great Plains to the Rocky Mountains. Offering miles of hiking trails, red sandstone cliffs, and amazing views of the Rockies as well as Downtown Denver, Red Rocks Park is a haven for people who like to exercise outside during the day. 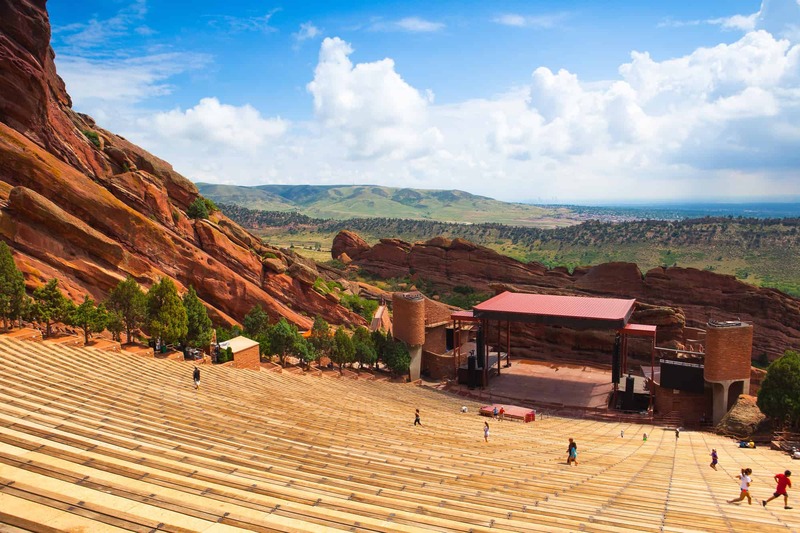 By evening, the expansive natural amphitheatre, formed by the red rocks, boasts fantastic acoustics, a great atmosphere, and has hosted musical artists such as the Beatles, Tom Petty and many more. Even if you can’t attend a concert, the experience and view alone are worth the trip. The park’s visitor center displays interesting information about the park’s geology. Denver, USA: July 21, 2012: Famous Red Rocks Amphitheater in Morrison. Red Rocks Amphitheatre is a rock structure near Morrison, Colorado, 10 miles west of Denver, where concerts are given in the open-air amphitheatre. 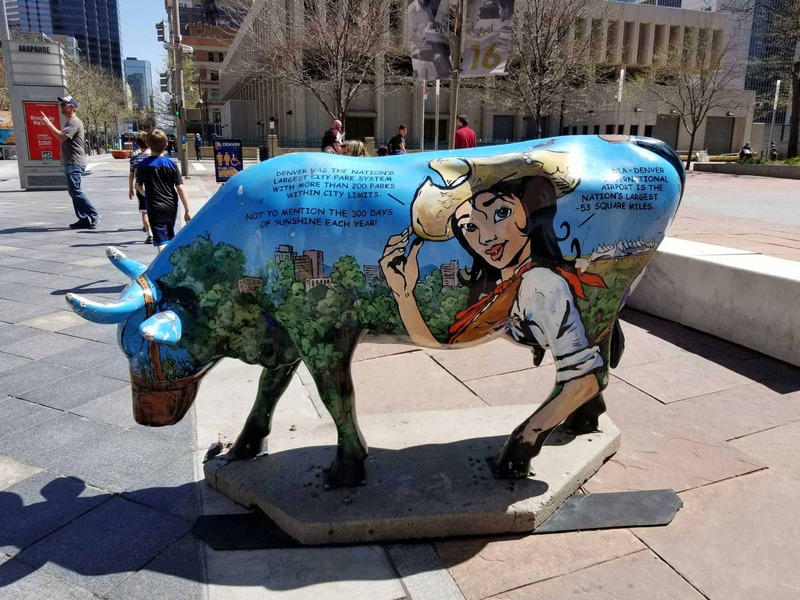 The Denver area’s tourist offerings are vast, so this is only a small list of the many cultural, artistic, historical, and scenic destinations to check out on a visit to Denver. While you could see all of the places on this list in 2-3 days, you could easily spend 5-7 days in Denver and never do the same thing twice! You can catch up and follow Heather on Facebook, Instagram, Twitter, and Pinterest.